Dr. Sylvenster Graham inventor of granola and graham crackers. My favorite breakfast foods is made from my own recipe for making homemade granola. Every ingredient of this homemade breakfast food is packed full of flavor as well as nutritional value that is heart healthy. In my opinion, there isn't a store bought version that compares. You too should consider making a batch to discover granola's whole-grained goodness. 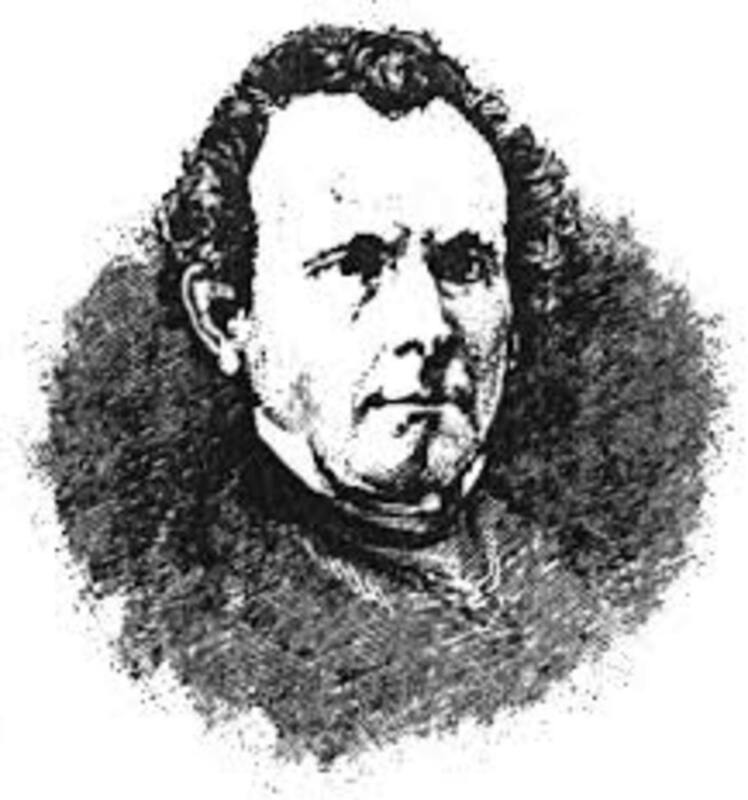 In the middle 1800s, Dr. Sylvenster Graham, the same person who invented the graham cracker, made the world's first breakfast cereal made of graham flour and processed into dense wholegrain nuggets. this he called "granula" and this cereal had to be soaked overnight to be edible. In 1876, Dr. John Harvey Kellogg created his own version which he called "granola" and soon Charles W Post came out with his own version which called "Grape Nuts".As time went on the popularity of these cereals diminished as other cereals became more well known. However, during the 1970s, whole-grain granola made its resurgence as a healthy alternative to the over-sugared, low nutrient popular cereals. Today, most granola has a rolled oats base. I am not fond of store bought cereals in which half the ingredients I wouldn't recognize if I saw them. In the winter, I can make a bowl of hot cereal such as grits or cream-of-wheat, but in the summer I prefer my cereal cold. That's why I like to make my own granola. It doesn't take me very long to make a batch of granola on a Sunday afternoon when I am home and getting ready for the coming week. I put a batch in the oven and work on housework and other things around the house. I feel good knowing that what i have produced is healthy and tastes great too! I have peace of mind knowing that I have made this granola from scratch, removed unhealthy ingredients and added heart healthy ones such as coconut, flax seed, olive oil, and dried berries to the equally heart healthy rolled oats. 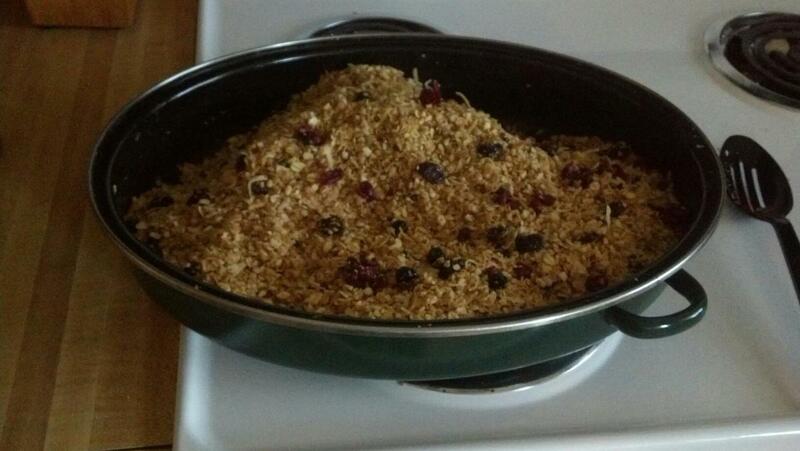 In a large roasting pan add all dry ingredients except the dried berries. Stir until well mixed. Pour olive oil over the dry ingredients. Mix well. Next drizzle honey over dry ingredients and mix in with a spoon. Place roasting pan with mixture into the oven, stirring every 10 to 15 minutes. 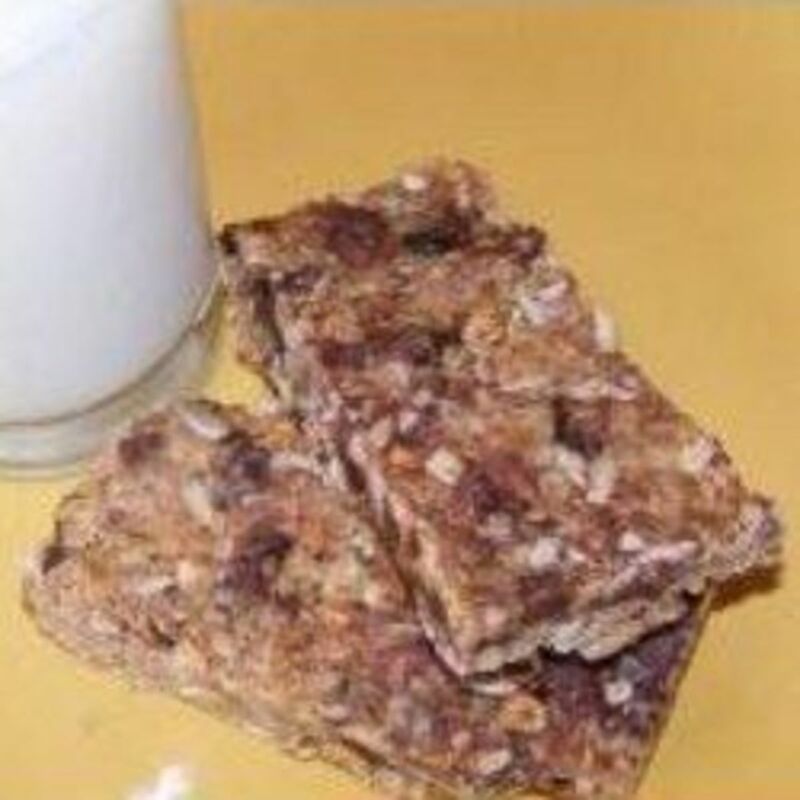 The granola is done when the mixture is dry and lightly browned and crisp. Remove cereal from the oven and allow it to cool. Once cereal is dry, add dried berries. Store in glass jar in the refrigerator or in a cool place.